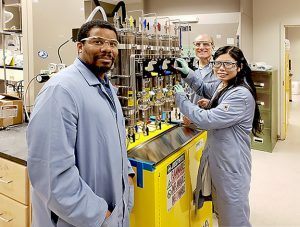 PPT recently designed, engineered and installed a five-column solvent purification system (SPS)) for the McDonald group research laboratory for synthetic organic chemistry at Emory College of Arts and Sciences in Atlanta, Georgia. 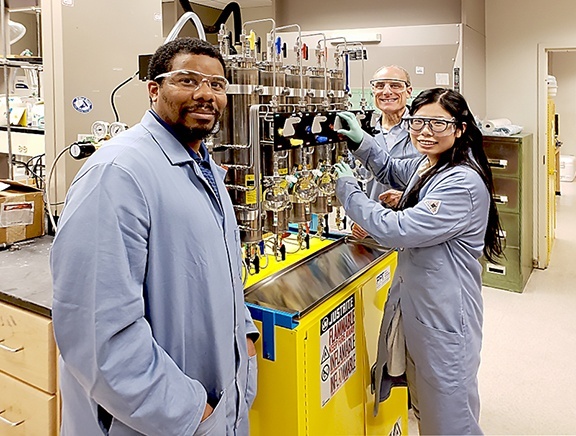 “The McDonald research laboratory explores new and improved methods for preparing organic (carbon-containing) compounds, particularly bioactive compounds that may become new pharmaceutical agents or other biologically important materials. Their research plans begin by identifying a molecular structure or family of related structures, in some cases with a potential application to medicine based on known biological activity. However, their goals are not just limited to making the target compound. As a matter of fundamental research, they are always interested in discovering a new chemical transformation, uncovering new modes of chemical reactivity, or developing a new synthetic strategy. Their research activities also provide excellent training for graduate and undergraduate chemistry students. Alumni of the McDonald laboratory hold positions in a variety of roles in the chemical and pharmaceutical industries, in colleges and universities, and law firms.” For a comprehensive review concerning Prof. McDonald’s group visit their website. PPT’s ‘Dr. Mike’ Carlson personally supervised the on-site installation, setup, and testing of Prof. McDonald’s new SPS. The labs new 5 solvent cabinet mount system includes columns for Ether, THF, DCM, DMF, and Toluene. An isocyanate scrubber, diaphragm pump, and vacuum controller were also included. Organic and metallic university chemistry labs are a large client segment for PPT, with weekly purchase requests for solvent purification and dispensing systems from all over the country. Visit the following links to learn more similar projects and specifications of the solvent systems and accessories. PPT also has self-help videos for those clients interested in maintaining their equipment.